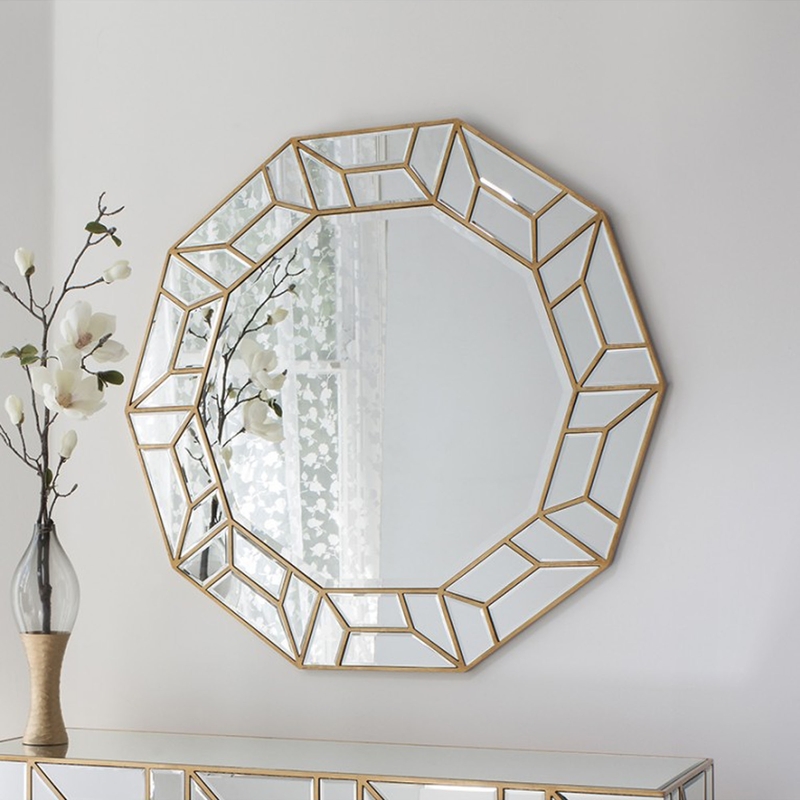 Celeste Wall Mirror features a high-quality artistic decagon mirror with a repeated surrounding pattern in a hand-painted gold finish. This beautiful mirror is the newest addition to our contemporary mirror range, this is another high-quality mirror we are proud and excited to bring you. This versatile mirror will look amongst any surrounding interior.